I had an opportunity to spend some time with teams in Vietnam. Explain them Agile and implement Scrum process, bring in the understanding of it, and help them to apply it. It’s always good to travel for your work to some nice places, and Saigon is indeed very nice city. Very friendly people. How was it? Quite different. The way of explaining things needed many detail examples, however there were fewer problems with having people accept the whole idea. The most difficult part was I guess to explain the agile mindset, implement agile culture. They always used to be organized by strict hierarchy. Who reports to whom. And now we had a cross functional teams consist of both developers and testers, so who do I report now? Who is going to assign me new tasks? And all those questions. If you for some reason put one person out of the teams as a shared resource, he immediately stop working and did just management decisions from that time. When we asked why, it’s because only the team members are here to do the work. And I’m now more important. So I don’t do any usual daily job. On the other hand, once they understood the process, they follow it. They don’t discuss if they should or not, no complains that they are corporation with specific habits so why they should change them. Once you explain it so they understood they do their best to make it working. I’ve always tried to meet with local community while I’m traveling. It’s fun. They sometimes reply and you organize something together, sometimes there is no response at all. Agile Vietnam was a surprise; they have extremely active Facebook community. I’ve sent an introduction and in a few seconds I’ve got several replies. So already the first night at Saigon I’ve met with a group of people to talk about startups. Small group, not really from IT environment, but trying to learn new thinks, improve English, it was nice evening. The next day I arrived on Barcamp. Huge event with 3500 people registered, kind of unconference where attendees are voting for presentation to be presented. I was talking about agile implementations, some British lady about bringing Broadway Theater to Saigon. You can talk about anything. Audience is deciding whether it is interesting or not. 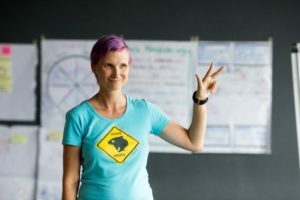 The last event I had there for the community was free Starting Scrum workshop. One afternoon the organizers of Agile Vietnam invited everyone to Saigon Hub. And we had two hours to try basic Scrum principles. I introduced a game where the teams were building a high tower from marshmallow and spaghetti. It was fun. The very good think is the game was working well even in this different culture. They did a great job, and learned a lot about how Scrum process works with respect of the delivery of PSP at the end of every Sprint, communication to the customer, team development. So to summarize my experiences, I would love to come back to Vietnam or another interesting country for work. It’s different, it’s fun, and it’s working. The training itself will not make any big difference to them. To change their way of working and mindset you have to be there, you have to spent time and help them understand and apply the theory. This is something which I as an agile coach can help them. But John still feels we should continue with agile adoption process started in previews articles of agile adoption story. It’s not going well so far, however, we just spent some money on training so we should give it a try. The project manager even if he is now called Scrum Master is keeping the common practices; we had still the same allocation system and organization structure. So when the Scrum Master got one-one meeting with John, he must admit Scrum process adoption has some issues ant it’s not really successful so far. 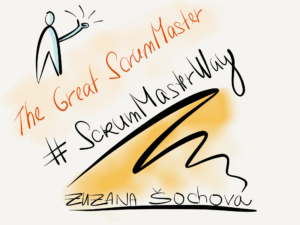 But as John needs any improvement, he finally asked: “ok, so what needs to be changed in order to make Scrum working in our environment?” And the Scrum Master selects the most crucial thing which bothered him – the allocation of the people. Scrum is based on team cooperation and collaboration, so how should we use Scrum in the current conditions where we never know in front what time we got resources, people are allocated in front and took out of the project without any in front notice. They are sitting somewhere in the office matrix without any direct connection to the project. So let’s imagine they are just because of Scrum process moved to one shared place and from that time they are called “team”. How this could work? Starting from the university, those highly specialized engineers were learned they are good enough to work individually on their tasks; any help offered there was called cheating. And now, they should work together? Even more in the company where were built strong silos called development department, testing department, and so on. And those silos have different managers with different goals. Those managers usually don’t like Scrum at all, as they had to delegate their responsibility and got less direct influence on the individuals. However, the particular engineers happen to be sitting together in one room, having a Scrum Master, who is trying to sell agile to them. In a reply, he is often hearing questions like why do we have to talk so much, why should we select what are we going to finish? Just tell us what to do and keep us working. We are specialists and so we can’t lose our expertise in sharing knowhow. So finally after some time, the Scrum Master is in John’s office saying “Agile is not for us”. We are different, we have too complex product, we are too big/small to implement agile. Our customers are like this and that, and you know, agile is great, just for a different company. To continue with the agile adoption story… John is sitting in his office, waiting for the measurements and results and looking forward to the great results of the new process called Scrum. But what happen in the team meanwhile. They started to read all the books and blogs, get known some theory. And get a few practices to follow: Standup meeting, Product Backlog, Sprint Backlog, Customer Demo, Retrospective, User Stories,… but what actually happen. The retrospective didn’t seem useful enough to be made part of their process as they know each other well and even if they have some problem they feel they are solving it right away. And, more than that, they have the lessons learnt. No one is learning from those, but they still believe they are useful. So why should they do any retrospective, right? Making a Product Backlog is a strange thing as well, as the business people don’t have any time they can ever spent on such activity, their only concern is to get all they want to as fast as possible without the necessity to described it well in front. They are quite happy to hear the team is making a commitment and deliver all they promised on time. As a result of that, team is not willing to take any responsibility and prefer the technical tasks instead of user stories. So finally Standup is the only one practice which preserved in the team. They meet every day, talking about what they had been doing, who they had been talking, but usually missing any day commitment and description of any finished work. As they don’t understand the reason of the followed Scrum practices, they don’t like them and felt the time is spent completely pointless. “The Scrum is just about meetings, we should better work than follow those useless practices“. As the time goes, they abandoned most of the practices, but still they have those huge expectations of high efficiency, flexibility, improved customer satisfaction and team health. But apparently, no one of those can be seen within a team. Finally, when John asked how the Scrum goes, he is surprised to hear that “Agile is not for us”. We are different, we have too complex product, we are too big/small to implement agile. Our customers are like this and that, and you know, agile is great, just for a different company. Companies have different reasons to move to agile, some are good enough, and some will never work. Some believe that agile is a silver bullet so they start without understanding; with high expectation all their problems will be solved by using for example Scrum. It’s not always any idealistic dreamers, they are well educated managers, with many years of ICT experience. But they are very upset hearing they must put some effort into the system in order to get exceptional output. They have to change and change is difficult, exhausting, long-term work. I’m not saying you saw just the following mistakes around you, but those are the most common, and to some point of view the most critical from all I’m seeing in the companies around me. Agile is new and cool, let’s start! First type of the problem I’m facing in the companies is someone who is very enthusiastic about agile. The person, John for instance, is not any expert on agile, has no personal experiences, no close friends or colleagues using it, but he heard somewhere that agile is more efficient and flexible. And he saw those problems on the projects. The company is struggling from poor efficiency and inflexibility already for couple years. They already tried pretty much everything. They changed the project managers, make their processes strict and well described, implemented ISO, sent some project people to do PMI certification, and still got no real improvement. And yes, last year, they changed the bonus structure and made the fix salary low and high bonuses. Still no improvement; surprisingly it’s even worth it used to be few years ago. And then, John discovered there is agile, which is supposed solve all problems they are facing. Isn’t that great? So what shall we do? Let’s read about it and start. Agile means Scrum. And Scrum, that’s just a few practices. So let’s start using them. And make sure you don’t bother me with any real change inside our company. Keep the organization structure as it is, keep all our processes, and keep the roles. Just give the business opportunity to say what they want to and then make sure you deliver it on time. And take care you are more efficient as you were, as I’m going to compare the mandays spent. How it usually ends? John, and everybody else, is frustrated and saying “Agile is not for us”. We are different, we have too complex product, we are too big/small to implement agile. Our customers are like this and that, and you know, agile is great, just for a different company.